When we think about `mixing vessels’ for influenza reassortment, our thoughts first go to avian or swine hosts, since both have a long track record of producing new hybrid strains of influenza. The H5N1, H5N8, H7N9 and H10N8 avian viruses are all products of avian reassortment, while the 2009 H1N1 pandemic virus emerged from swine after years of `fine tuning’ as it passed through generations of pigs. 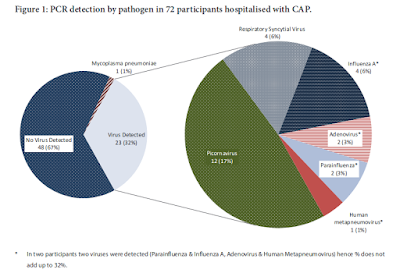 But practically any species that can host two or more influenza strains is capable of producing a reassortant virus, including humans (see 2011 Webinar: pH1N1 – H3N2 A Novel Influenza Reassortment for an example). In the past we’ve looked at a number of species with at least theoretical potential to act as mixing vessels, including Mixing Vessels For Influenza, A Host Of Reservoirs & The (Swine) Influenza Reassortment Puzzle. Luckily for us, most reassortant viruses are evolutionary dead ends, unable to compete effectively against existing strains. Host species that frequently come in contact with humans are viewed as being more likely to pick up, reassort, and spread flu viruses than those that live remotely in the wild. Poultry and swine fall into that category, particularly in Asia, where the human-animal interface is particularly close (see EID Journal: Predicting Hotspots for Influenza Virus Reassortment). While generally regarded as being less susceptible to influenza than either birds or pigs, companion animals like dogs and cats are increasingly being viewed as potential `mixing vessels’ as well (see Study: Dogs As Potential `Mixing Vessels’ For Influenza). In July of 2011, in a blog called Korea: Interspecies Transmission of Canine H3N2, I wrote about a study that reported on a recently emerged canine H3N2 influenza virus that had been observed to infect and sicken domestic cats at an animal shelter in South Korea. This emerging canine H3N2 was of a different lineage than human H3N2 which appeared in the 1968 pandemic. It first appeared in Korea in 2007 – and unlike the other canine flu (H3N8) -which jumped from equines to dogs, this strain appears to have emerged directly from an avian source. A year later, in Interspecies Transmission Of Canine H3N2 In The Laboratory, we saw another study that showed that cats (and to a far lesser degree, ferrets) were susceptible to this canine H3N2. Thus far, these new canine viruses haven’t shown the ability to infect humans. As H3N2 outbreaks among dogs continue in the Guangdong province (located very close to Hong Kong), the areas where is densely populated and with frequent animal trade, there is a continued risk for pets H3N2 CIV infections and for mutations or genetic reassortment leading to new virus strains with increased transmissibility among dogs. Further in-depth study is required as the H3N2 CIV has been established in different dog populations and posed potential threat to public health. After an outbreak of pandemic influenza A/H1N1 (pH1N1) virus, we had previously reported the emergence of a recombinant canine influenza virus (CIV) between the pH1N1 virus and the classic H3N2 CIV. Our ongoing routine surveillance isolated another reassortant H3N2 CIV carrying the matrix gene of the pH1N1 virus from 2012. The infection dynamics of this H3N2 CIV variant (CIV/H3N2mv) were investigated in dogs and ferrets via experimental infection and transmission. The CIV/H3N2mv-infected dogs and ferrets produced typical symptoms of respiratory disease, virus shedding, seroconversion, and direct-contact transmissions. Although indirect exposure was not presented for ferrets, CIV/H3N2mv presented higher viral replication in MDCK cells and more efficient transmission was observed in ferrets compared to classic CIV H3N2. This study demonstrates the effect of reassortment of the M gene of pH1N1 in CIV H3N2. The acquisition of the M gene from a `humanized’ pH1N1 virus appears to have increased the biological fitness of this canine influenza – at least in ferrets – which are often used as a surrogate for humans in influenza research. That said, we haven’t seen any signs that this virus has acquired the ability to infect humans. Regular readers will recall that in 2011 (see MMWR: Swine-Origin Influenza A (H3N2) Virus Infection in Two Children) we saw a similar reassortment of swine-origin influenza A (H3N2) virus and the 2009 influenza A (H1N1) virus, producing a swine variant H3N2v with the M gene from pH1N1. Whether any of this means that canine H3N2 is on the fast track towards `humanization’ is anyone’s guess, but this does illustrate just how intertwined avian, canine, and human influenza viruses really are. As H3N2 CIV spreads geographically it will likely encounter more human, avian, canine (and even swine and equine) flu viruses with which to play `mix and match’ with their gene segments. WASHINGTON, DC – June 19, 2014 – Equine influenza viruses from the early 2000s can easily infect the respiratory tracts of dogs, while those from the 1960s are only barely able to, according to research published ahead of print in the Journal of Virology. The research also suggests that canine and human influenza viruses can mix, and generate new influenza viruses. Influenza reassortments happen all the time and mostly outside the view of scientists. Most will end up as viral flashes in the pan, unable to compete with more biologically fit flu viruses, and will quickly disappear into the evolutionary dustbin. But given enough throws in the influenza reassortment craps game, nature will eventually roll a natural. Making it not a question of if another pandemic will emerge. Only a matter of when.